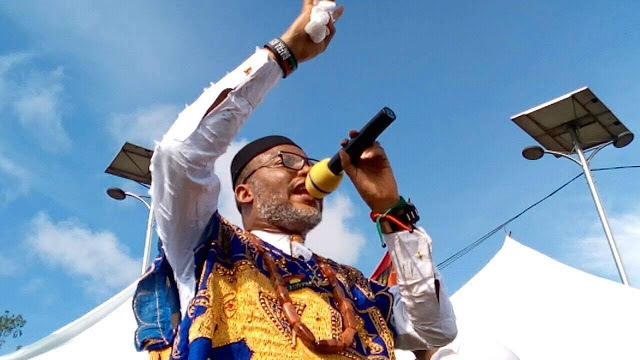 Now the intention of the South East Governors and that of the Ohaneze Ndigbo betraying the struggle for restoration of Biafra by Nnamdi Kanu under the Indigenous People of Biafra, IPOB have finally been made open. It is so regretting that the game all amounted to the pursuant of the Secretary General of the Federation, SGF. This is highly regretting and condemnable. My question is, ‘Is it in the Igbo man’s blood to betray his brother, just like Esau gave up his birth right just for a common meal?’. This is not just that. But the game amounted to nothing as Buhari always in his mind of not having the interest of the South East at heart replaced the embattled SGF with a fellow Northern. You May Like This: Who is a Biafran? Read this!